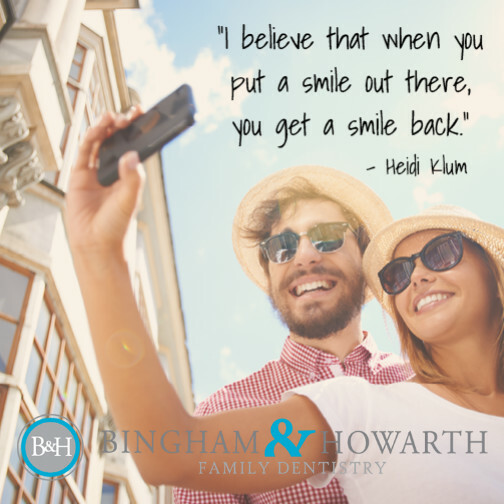 We are fortunate to have so many wonderful patients at Bingham & Howarth Family Dentistry. If it weren’t for all of you, we would not be able to provide the level of dental service and long-term results for our community’s families. How so? When you leave an online review of your dentist in Tulsa, we do our best to live up to your oral needs and expectations. See how you can do so in 2 minutes. We make it a habit of investing in the long term health of our patients in Tulsa by using the most advanced technology, our pampering creature comforts, and our ever evolving skills. For example, we believe that hygiene visits should be anything BUT routine; they should be exceptional! What are we asking for in return? We love putting a smile on your face. We only could ask that you put one on ours and on the lovely faces of people looking for a dentist in Tulsa. By writing a quick review of your visit with Bingham & Howarth, you help our dental experts recognize what is being accomplished, and what can be improved upon. 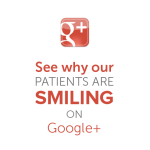 Plus, your rating of our services on Google+ and other review sites help other patients looking for a Tulsa dentist! It just takes 2 minutes to leave a review. With this simple web application, you can write a public review of your dentist in Tulsa from your smartphone during a TV commercial or in the passenger seat while sitting at a traffic light. Remember, even if you have left a review in the past, you can keep us on our toes by posting another! Read online reviews of your dentist in Tulsa! So, next time you’re in for a hygiene cleaning or restorative dentistry in Tulsa, OK, give 2 minutes of your appointment time to say something about our services. 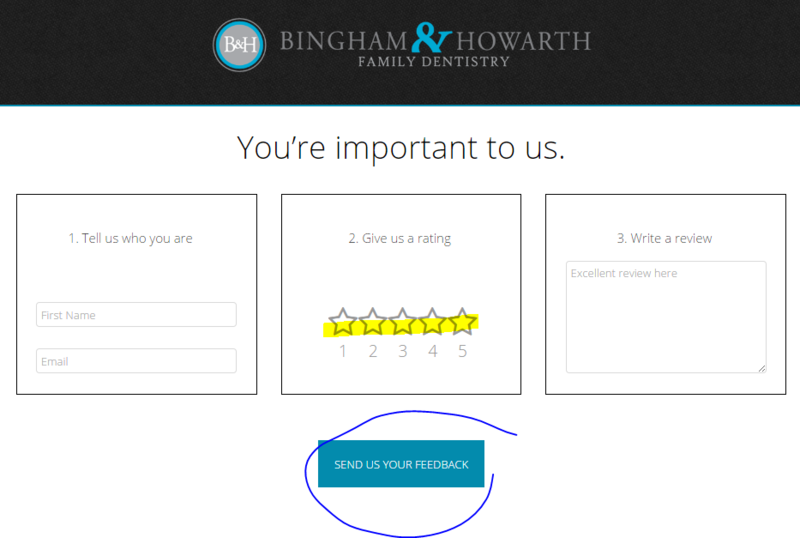 Our skilled team at Bingham & Howarth value your feedback and look forward to better serving you in 2016! The Bingham & Howarth Family Dentistry team in Tulsa, Oklahoma. What do you think, should medical professionals take to heart public user reviews of their practice? Tell us in the comments!